When you purchase standard parts for your motorcycle, car, truck, or personal watercraft engine, there will be slight imperfections in the surfaces of the interior passages. At Extrude Hone, we can remove these imperfections to help enhance your engine’s performance. It’s as simple as getting key parts honed out in Chicago IL. When a part is honed out in Chicago IL, a small amount of metal--about 1 mm--is removed from the surfaces of the interior passages. While hand honing is possible, it is not the most efficient process. It takes far too long, and it may not reach the deepest interior passages. Abrasive flow machining provides a superior alternative, enabling you to achieve consistent, uniform, and controllable surface changes in the entire part. This is accomplished by passing a specially formulated, abrasive-laden polymer media through the part. At Extrude Hone, we have a huge array of media formulations, allowing us to choose the exact one that will give high precision results on any given part. What Kind of Parts Can Be Honed Out in Chicago IL? With a few exceptions, most engine parts that air or fuel flows through can be honed out in Chicago IL. 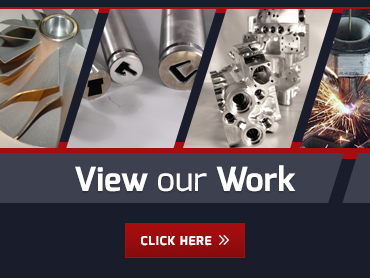 We can vary the abrasive media depending on the type of metal in the part--for example, a lighter abrasive for aluminum and a heavier one for cast iron. We frequently hone intake manifolds, as well as exhaust manifolds when there is no aftermarket alternative available. While headers contain interior welds that can disrupt flow, you can’t just hone them out. An exterior weld must be added first to ensure the strength and integrity of the part. Considering getting your intake manifold or other part honed out in Chicago IL?Call Extrude Hone at (562) 531-2976. We’ll be happy to give you a quote and a time frame for the project.